We know you have a choice in real estate services and we aim to earn your business. Foremost, we provide exceptional service through skill, knowledge, and caring. But we also compete on price and value. Our goal is to maximize your bottom line without sacrificing results. After years of strong buyer markets, we want to put sellers in charge and get their homes sold! Our Flexible Commission Plan gives you options depending on where your buyer comes from. 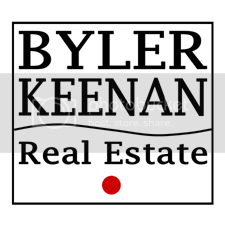 · 6% A real estate agent other than Susan or Terance brings the buyer for the sale of your home. We market your home, negotiate the deal, and handle all closing details for 3%. We share the remaining 3% as an incentive to the buyer’s agent. · 4.5% We find the buyer for your home and no other agent is involved. · 3% You as the seller, find the buyer through a personal source such as a friend or co-worker, and no other agent is involved. We write the contract, and handle all the closing details. We know that plans can change, and we would never stand in the way of your best interest. If you decide listing your home is not your best option, you can cancel the listing agreement at any time. There is no charge and no cancellation fee. We never charge you a JUNK Transaction Fee. Other agents and brokerages charge a much as $395. It’s nothing but profit-padding. For sellers who also buy a home with us, we offer a special commission rebate of 1% — 0.5% on the sale and 0.5% on the purchase. · Example: If you sold your $300,000 home with us, and bought a $400,000 home, your rebate would be $3,500 total. For more information call us at 850.445.2476. We want to earn your business!